Ascending hot magmatic fluids mix with near-surface groundwater to form active geothermal systems with dramatic surface features such as hot springs, solfataras, fumaroles, mudpots, geysers, and hot acid lakes. 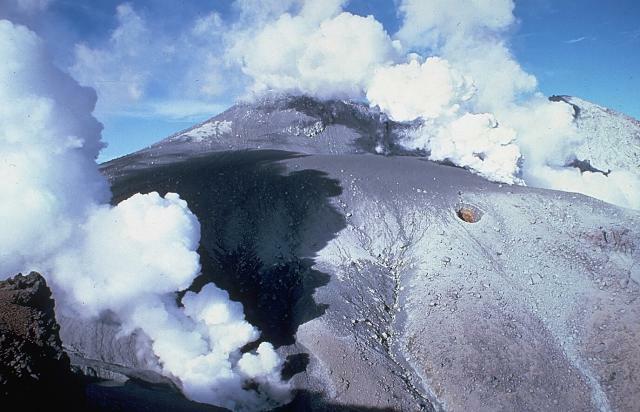 These hydrothermal features are common at stratovolcanoes and young calderas and can persist for hundreds of thousands of years. 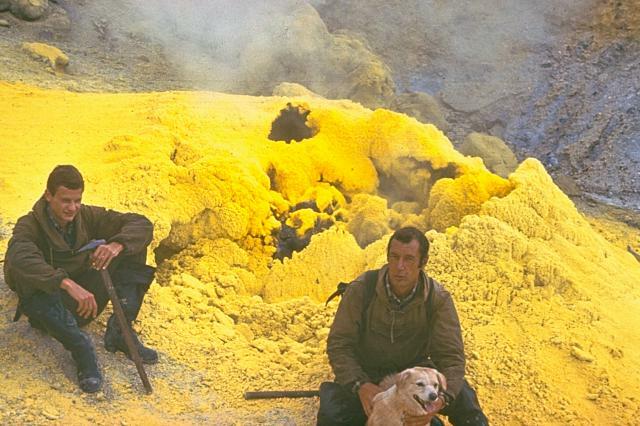 Active hydrothermal systems often precipitate colorful deposits of native sulfur and other minerals. 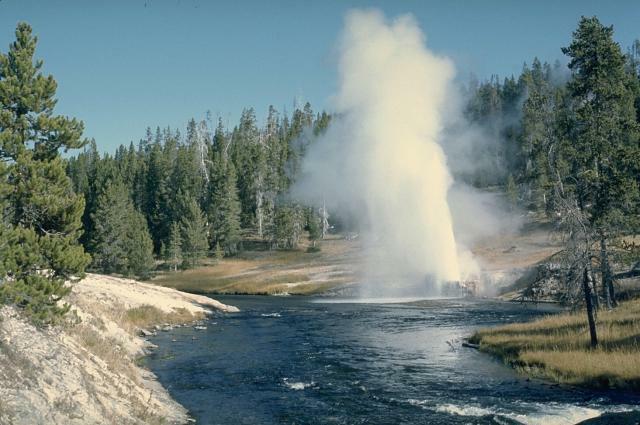 Spectacular geysers are popular attractions in places such as Yellowstone and at Icelandic volcanoes. 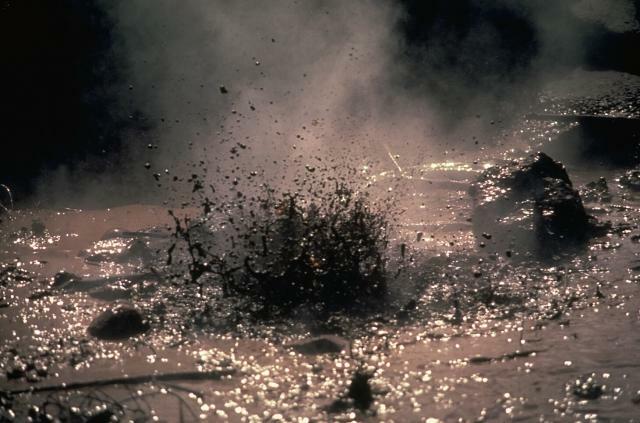 Reservoirs of steam or hot water in geothermal fields have been tapped for electrical power in many volcanic regions. Brilliantly colored deposits of elemental sulfur surround fumarolic vents on the NW side of the central cone of Mendeleev volcano, in the southern Kuril Islands. Fumarolic areas on Mendeleev are associated with lateral craters at this location and at several areas from the NE to SE flanks, where the central cone meets the inner caldera wall of Mendeleev. 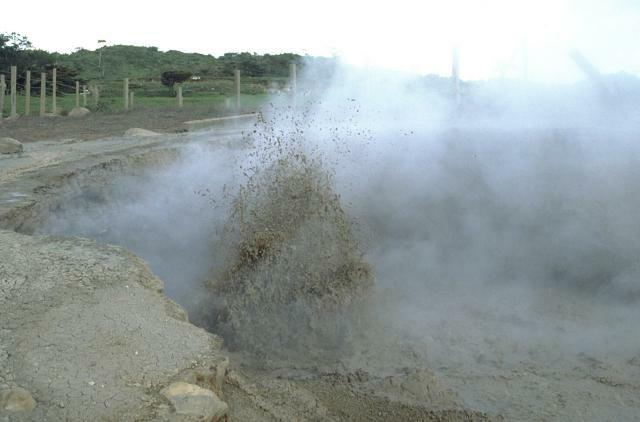 Hot springs occur on the NE flank and along the NE coast, where the Goriachi-Pliazh geothermal field is located.